What started out five years ago as one little Pinot event in Melbourne with 300 people, has grown into Bottle Shop Concepts – a company who in 2016 ran 27 events in 2 countries and 7 cities, with 16500+ attendees checking out 437 wineries, and a media reach of 32.5 million. We’re so deep in making it all happen, in a makeshift office around a kitchen table, that we often forget to sit back and take stock of what we’ve created. But then sometimes other people step in to help with that. Dan, more often seen in Melbourne-uniform black with trainers, scrubs up alright! Photo credit: pmk. 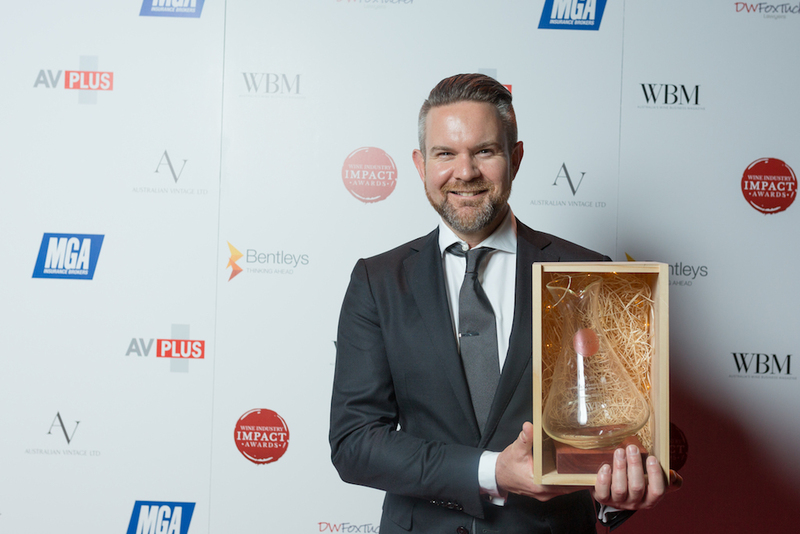 The good people at WISA’s Wine Industry Impact Awards gave us a massive pat on the back, in the form of their Marketing and Communications trophy. They said we help wineries ‘cut through the noise’ and create memorable experiences to help them connect with people who drink wine. We’re blown away, stoked and humbled. We love what we do, and it’s amazing seeing how much other people love and value it too. Oscars acceptance speeches aside, we owe a massive thank you to you guys. You, the people who come along and taste, eat and start dancefloors. You the wineries, who make the good stuff and come on the road with us. You, the WISA. You, the merry band of misfits called BSC who make it all happen. Thank you, thank you, thank you. Now we need a real office, so that we can have a trophy cabinet to put this in.